British IS recruiter Sally-Anne Jones was reportedly killed in a US drone strike in Syria, in June. Jones, from Chatham in Kent, joined so-called Islamic State after converting to Islam and travelling to Syria in 2013. Her death was first reported by The Sun. 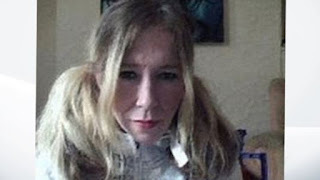 The BBC's security correspondent Frank Gardner said Jones had been a useful propaganda agent for IS on social media and her death would be "significant". Whitehall officials have declined to comment publicly. However, they have not denied the story, and US sources are confident she was killed in an unmanned drone strike in June, our correspondent added. The 48-year-old was reportedly killed close to the border between Syria and Iraq by a US Air Force strike. Prime Minister Theresa May said she was "aware of the reports" around Jones's death, but was "not in a position to comment further". Her official spokesman said the coalition "follows clear and lawful rules of engagement." Defence Secretary Sir Michael Fallon also refused to comment about Jones directly, but said if someone chose to fight for IS they have made themselves a "legitimate target" and "run the risk every hour of every day of being on the wrong end of an RAF or a United States missile."